On January 20, a strong storm was announced that would last all day in California. From the beginning of the day, heavy rain and winds had almost convinced us that Trump had made a “deal” with the rain god to create obstacles for those of us who resisted the “Trump-doctrine,” and his inauguration as president of the United States. However, neither the rain nor the wind are able to silence the movement of thousands who left their homes and work to march throughout California in Los Angeles, San Francisco, San Jose, Oxnard and Santa Barbara, among many other cities. 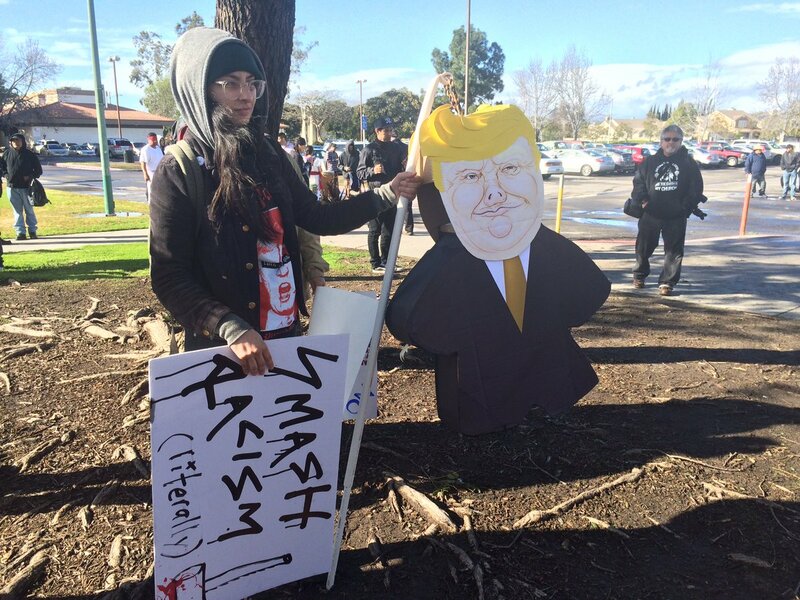 In Oxnard, we marched primarily to unite our fighting spirit, we marched to unite our voices in demanding an end to the excessive exploitation of our land, to demand an end to the excessive exploitation of those of us who daily build a country where the wealth enriches few, while the overwhelming majority remain poor. We march to say enough is enough to those who rob us of our neighborhoods in order to turn them into malls, we march to say enough to the police brutality that kills our sons, daughters, brothers and sisters, friends and family, we march to say enough to being incriminated for the color of our skin, the color of our clothes or our sexual orientation. We march to demand more freedom for our community: more trees and less commercial malls, less laws and more freedoms. That’s why we march. We march knowing that protests alone aren’t the solution to everything that the capitalist system has created to keep us oppressed but we also march convinced that together and organized, we will win! Neither the rain nor the wind can stop our movement.